Many people have stretch marks and are unhappy with the appearance of their bodies as a result. Fortunately, this is not an issue that affects a person’s health, and it is extremely common. Whether the cause is pregnancy, gaining or losing weight in a short amount of time, or any of the other myriad of reasons a person can develop stretch marks on their skin. If you are wondering “what are stretch marks?” then, as name suggests, stretch marks are visible marks on a person’s body as a result of the skin stretching. 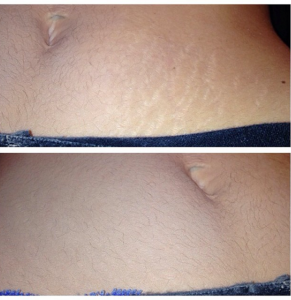 While this typically does not pose any danger to the health of the person with stretch marks, people are often unhappy about the way stretch marks alter the appearance of their body and would rather have smooth-looking, flawless skin. Fortunately, there are ways to accomplish this even if you have stretch marks that you are unhappy with! There are a lot of products out there like lotions and creams that are marketed at people with stretch marks, claiming to heal them completely and make them so they are no longer visible on your skin. If only it were that easy! The sad reality is that many of these products do not work as advertised, or they take an extremely long time to show any sort of noticeable effects. If you want to know how to get rid of stretch marks, one of the more popular options for healing them is applying Aloe Vera to the affected area on a regular basis until you notice the marks fading and eventually disappearing completely. Other natural options include applying egg whites, lemon juice, sugar, or potato juice to the skin. All of these things contain vitamins and will promote the healing of your skin. Try it out and see if it works for you, but keep in mind that results may be slow in becoming noticeable. However, most people don’t want to wait that long, and if you’re planning on going to the pool or the beach later this week, then you want results that are going to hide stretch marks now! While attempting to heal your stretch marks is always a good idea for the long term, there are ways that you can immediately camouflage your stretch marks from view! This is where products like Veil Cream sweep in to save the day. As a cosmetic cream, Veil Cream is designed to hide stretch marks immediately. All you need to do is apply the Cover Cream to your skin that best matches your skin tone, and then apply the Finishing Powder that has been formulated for the specific purpose of ensuring that the look will stay waterproof and smudge-proof for 24 hours. 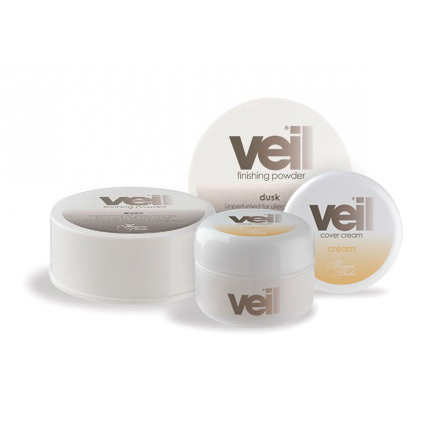 The durability of Veil Cream makes it the ultimate solution for those looking for an immediate solution to hide their stretch marks so they can go out and enjoy their vacation or day at the beach or pool feeling confident and beautiful.